KARACHI: Overall sales of locally produced cars grew by 3.5 per cent in July-February 2013-2014 as compared to same period last fiscal. Increase in car sales was backed by continuous growth in sales of Honda Civic, City, Toyota Corolla, Suzuki Bolan and Suzuki Cultus thus pushing up overall car sales figures to 76,072 units as compared to 73,502 units. Sales of Suzuki Mehran, Swift and Liana remained depressed. 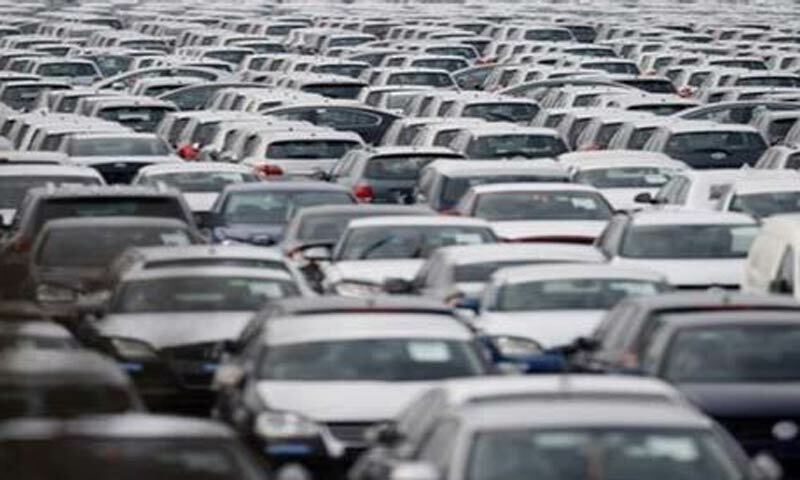 Figures released by Pakistan Automotive Manufacturers Association (Pama) revealed jump in sales of Honda Civic and Honda City to 6,446 and 8,355 units as compared to 5,636 and 6,892 units. Corolla sales went up to 19,627 units from 19,062 units. Suzuki Cultus sales increased to 10,057 units from 8,628 units, while a total of 8,966 units of Suzuki Bolan were sold as compared to 8,384 units. Swift and Mehran sales dropped to 3,321 and 19,106 units as compared to 4,134 and 20,571 units. Production of Liana remained suspended in February 2014, with the vehicles last being produced in October 2013 and December 2013 with 72 units each in the current fiscal year. Its sales in July-February 2013-2014 stood at only 110 units as compared to 124 units. Hyundai Santro production in January and February 2014 was recorded at 82 and 128 units but sales in same months stood at 18 and 46 units.